Shepparton Christian College has an open enrolment policy. This means anyone is welcome to apply to and attend the school. The main intake years for new students are Prep and Year 7 however applications are welcome at other year levels. Please be aware that class numbers are limited so enrolment offers will be dependent on available places. 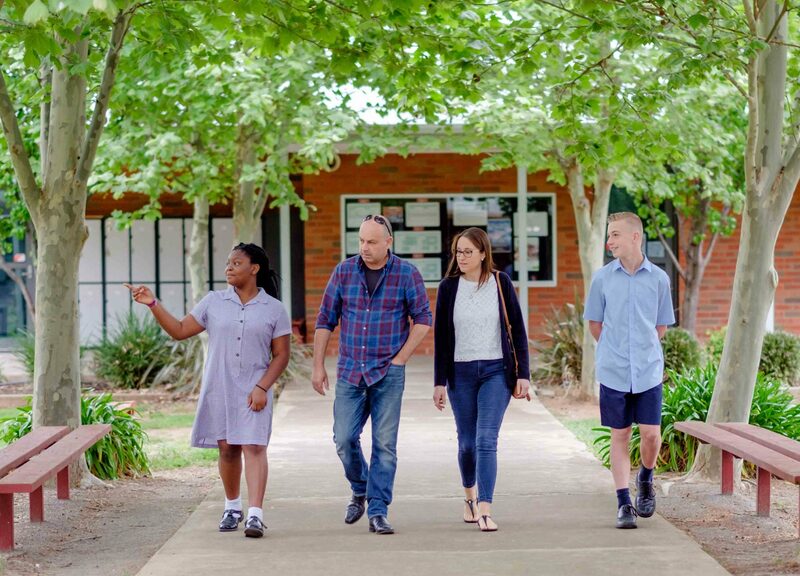 Parents wishing to enrol their child at Shepparton Christian College are welcome to contact the College to arrange a meeting with our Principal and a personalised tour of the college. To apply for a place at the college, parents should complete an Application Form (link above) and return it with the application fee and a copy of the student’s latest school report if your child is transferring from another school. Once your application is received, you will be invited to attend an enrolment interview. This meeting allows us to discuss your child’s needs, college expectations and answer any questions you may have about the college. You will be contacted within 2 weeks of your interview to let you know if your application was successful. Successful applications will be sent a letter of offer and an Enrolment Form to complete. If a year level is full, you will be placed on a waiting list.